Add a dramatic industrial element to your dining or living space with the Dale Table Lamp. 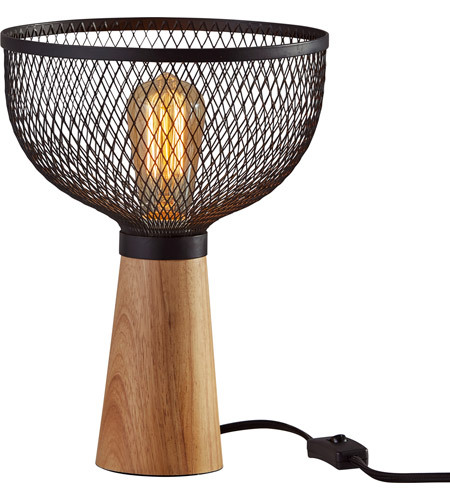 A contemporary black metal mesh shade is paired with a natural rubber wood cylinder base resulting in a modern industrial style with hints of scandinavian influence.This style looks great with all bulb types. Use a vintage edison bulb for soft, mood lighting or an LED bulb for efficient ambient light. At just 11.75" high, this light is the perfect accent piecethat can fit in small spaces. A simple on/off switch is located on a black fabric covered cord.